Mr. Melcher provides M&A Advisory, strategic planning, and business performance consulting services. He has consulted for banks, insurance agencies, securities firms and other companies in various industries. He also has served as interim, part-time CEO or COO for several diverse companies. 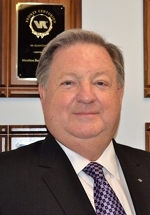 He previously served as Chairman, President, and Chief Executive Officer of Leesport Financial Corp. and its wholly-owned subsidiaries: Leesport Bank, Essick and Barr Insurance, and Madison Financial Advisors. During his tenure, Leesport grew from $200 million of assets to over $900 million. At Leesport, he presided over 11 acquisitions, divestitures, and joint ventures. In his career, he has been involved with more than 100 M&A transactions.